On November 26, 2018, members of the three SCJ communities in Cagayan de Oro area, together with the Dehonian Youth, Lay Dehonians and friends, celebrated the SCJ Memorial Day. The celebration was held at the Sacred Heart Formation House and was presided by Fr. Joseph Butlig, SCJ, who on this day celebrated his fifth anniversary of ordination to the priesthood. On November 26 the Congregation of the Priests of the Sacred Heart remembers all its members who have died as Martyrs doing God’s work in different parts of the world. “The celebration of this day was instituted by the Superior General, Fr. Jose Ornelas Carvalho, on May 31, 2004, as an opportunity to commemorate those who impacted the Congregation with their offering of life and their generous witness. November 26 was chosen because it was on this day (November 26, 1964) that Mgr. Joseph Albert Wittebols, SCJ, the bishop of Wamba, together with six other missionaries, were killed. On the same date we also note the death of the Servant of God, Fr. Andreas Prevot, SCJ, in Brugelette – Belgium (1913). This year we want to direct our gaze to a particularly important moment to be remembered: the centenary of the end of the First World War (11 November 1918). Even the Congregation was strongly wounded by this Great War, endangering its survival and causing numerous internal conflicts. Many confreres were forced to take part and 33 of them lost their lives”. “Their blood are seed of Christians” May our Martyrs strengthen our identity to continue bear witness to the Heart of Jesus and the civilization of love. V. No one lives for himself; no one dies for himself. God our loving Father, we praise you! We thank for all our SCJ brothers who died as martyrs, for their faith and dedication. Through their intercession, enable us by Holy Spirit of Love, to live and die for you and your beloved people, hoping that we may be transformed day by day into the likeness of your Son Jesus. United with him around the table of his Eucharistic Sacrifice, inspire us to surrender ourselves to be taken by you, Father, to be blessed, broken, and shared with and for others in love and unity, so that our beloved country may attain that peace we long for. Lord God, may the witness of our SCJ brothers, who died as martyrs, strengthen our faith. May their martyrdom be the seed for our growth in holiness. Give us the power of your spirit to promote understanding and reconciliation, that all may live justly and in peace as brothers and sisters of Jesus, your Son. R. Help us to ponder and live the Mysteries of the life of Jesus. On September 22 we remember and celebrate the life of Fr. Juan Maria de la Cruz. On March 11, 2001, Pope John Paul II declared him blessed along with other 232 martyrs of the Spanish Civil War. Mariano García Méndez was born on September 25, 1891, in San Esteban de los Patos in the Province of Avila. He was the firstborn of 15 children. His family looked after the local church. Because there was no priest in the small community, his father, after a day of working in the fields, led novenas and rosary prayers. It came as no surprise when the father’s eldest, the boy called Marianito, felt called to the priesthood at the age of 10. He eventually pursued that call and was ordained a priest for the diocese of Avila. Fr. Juan Maria served in parish ministry and later as a school chaplain. Before diocesan ordination, Fr. Juan Maria discerned a vocation with the Dominican Fathers of Saint Thomas of Avila but health concerns prevented him from completing his novitiate. After ordination, he continued to feel called to religious life and sought entrance into the Christian Brothers in Nanclares de Oca, but again, his health failed him. Continuing to serve as a diocesan priest, Fr. Juan Maria often found himself in Madrid, where he went to the church of the Religiosas Reparadoras (Sisters of Reparation). During one such visit, he met Fr. William Zicke, one of the founding members of the Spanish Province. They struck up a friendship and Fr. Juan Maria told him of his desire for religious life. In turn, Fr. 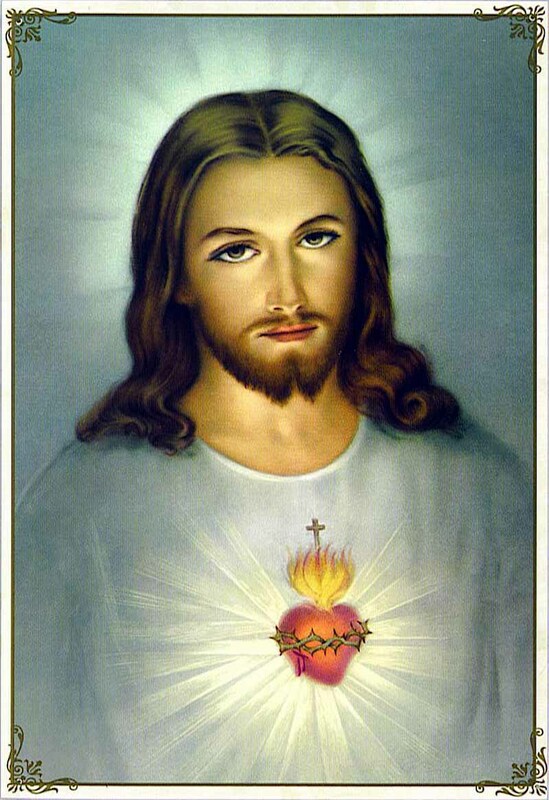 Zicke told him about the Priests of the Sacred Heart and its founder, Fr. Leo John Dehon. In the Dehonians Fr. Juan Maria found what he had been searching for and on October 31, 1926, he made his first profession. He took the religious name by which he is now known: “Juan María de la Cruz.” The name honored his two great loves: Holy Mary and St. John of the Cross, who like himself was from Avila. Initially, Fr. Juan María was a teacher in the minor seminary at Novelda. However, by 1929 he moved into fundraising to help support the Spanish Province. At that time, fundraising was barely a step up from begging. Fr. Juan María went from village to village seeking both funds and vocations for the congregation. In the midst of the turbulent years of civil strife in Spain from 1931-36, the Catholic Church in Spain suffered one of the most difficult persecutions in its history. Churches, seminaries, rectories, monasteries and convents, were sacked and destroyed. Thirteen bishops, 4,184 priests, 2,365 religious brothers, 283 nuns and thousands of lay Catholics were killed. On July 23, 1936, Fr. Juan traveled to Valencia seeking refuge with one of the congregation’s benefactors. To hide his identity as a priest he dressed in a large, secondhand jacket. The oversized garment eventually earned him the nickname “Fr. Chaquet” (Fr. Big-Jacket). “No, I am a priest!” said Fr. Juan. That was all that was needed to arrest him and take him to the Modelo jail in Valencia. In jail, witnesses recalled that Fr. Juan María remained faithful to his religious call. On the night of August 23, 1936, Fr. Juan, together with nine other prisoners, was taken south of Valencia to be shot. The next day the bodies of the victims were thrown into a common grave in the cemetery of Silla. Fr. Juan María de la Cruz was the first Dehonian to be named blessed by the Church. On September 1, thousands of people, including Dehonians from around the world, filled the cathedral of Hildesheim and two nearby churches to be a part of the episcopal ordination of Heiner Wilmer, SCJ, as the 71st bishop of the German diocese. Archbishop Stefan Heße of Hamburg was the ordaining bishop. The Apostolic Nuncio, Archbishop Nikola Eterovic, presented the papal certificate of appointment to the new bishop. Among the concelebrants were Bishop José Ornelas Carvalho, who served as Dehonian superior general before Bishop Heiner, and Fr. Carlos Luis Suarez Codorniú, the newly elected superior general. Until his appointment, Bishop Wilmer was the superior general of the Priests of the Sacred Heart (Dehonians). His coat of arms prominently features the Dehonian cross, which is also his bishop’s cross. The Diocese of Hildesheim, which includes the city of Hanover, is one of the oldest dioceses in the world. It was founded in 815 and is located in northern Germany; it is over 18,5000 square miles and includes approximately 610,000 Catholics and 200 priests. Bishop Wilmer succeeds Bishop Norbert Trelle, who headed the diocese from 2006 until 2017. Bishop Wilmer was provincial superior of the German Province when he was elected superior general in 2015. He was born on April 9, 1961 in Schapen, Germany, was ordained in 1987, and professed his first vows with the congregation in 1982. Prior to his service as provincial superior Bishop Wilmer held a number of positions in education. From 1998 – 2007 he was headmaster of Gymnasium Leoninum in Handrup, Germany. Before that, he spent a year teaching German and history at the Jesuit’s Fordham Preparatory School in New York (USA). From 1995 – 1997 he served at Liebfrauenschulem, a school in Vechta, northern Germany, as a teacher of religion, history and politics, as well as a school chaplain. Bishop Wilmer has also taken part in several social initiatives with the poor and disenfranchised. In 2006 he spent three months in Caracas, Venezuela, doing catechesis among the city’s barrios. From 1996 – 1997 he worked to develop a training initiative for women at a penitentiary in Vechta (Germany). During his year teaching in New York he served in the Jesuits’ soup kitchen. And in 1993 he spent four months in Toronto, Canada, serving as a chaplain at “L’Arche Daybreak,” a residential home for people with disabilities. His studies have included French Philosophy at Pontifical Gregorian University in Rome, and Fundamental Theology at the University of Freiburg, where he earned his doctorate. The title of his thesis: “Mystik zwischen Tun und Denken. Zum Ort der Mystik in der Philosophie Maurice Blondels” [Mysticism between doing and thinking. The place of mysticism in the philosophy of Maurice Blondel]. After the episcopal ordination, thousands moved to the cathedral courtyard for an outdoor party. A German band played as German-themed foods were shared with the crowd, including German beer! On July 21, 2018 Most Rev. Antonio R. Tobias, D.D. the Bishop of Novaliches Diocese installed Rev. Fr. Niño B. Etulle, SCJ as second SCJ Parish Priest of San Lorenzo Ruiz Parish, Tierra Verde Homes I, Brgy. Culiat, Tandang Sora, Quezon City. The celebration started at 5:00PM that lasted for one hour and thirty minutes. There were more than 200 people attended the installation. A good number of Parishioners and leaders from the different organizations of San Lorenzo Ruiz Parish attended the celebration together with the cooperation of some religious men and women coming from different religious congregation, guests, family members and close friends of Fr. Niño and SCJ’s coming from different communities were present to witness the installation. The celebration ended with simple dinner prepared by the Parish Pastoral Council of San Lorenzo Ruiz Parish. 1. Fr. Leopold Mfouakouet from Cameroon. The former provincial superior who also served on the previous General Council. Born in 1968, he was professed in 1988 and ordained in 1995. He has served in parish ministry, in formation, and as a professor at the Catholic University in Yaundé. 2. Fr. Stephen Huffstetter from USA. He is 59 and was re-elected to the General Council of the Priests of the Sacred Heart. The former provincial superior of the US Province professed his first vows in 1982 and was ordained in 1989. Before service as provincial superior he was director of St. Joseph’s Indian School in South Dakota. He has also served in formation, and in pastoral ministry on the Indian reservations of South Dakota. He has a Master’s in Divinity and a Doctorate in Cross Cultural Ministry from Catholic Theological Union in Chicago. 3. Fr. Artur Sanecki from Poland has been re-elected to the General Council. The former provincial superior of the Polish Province is 52, professed his first vows in 1985 and was ordained in 1991. He has served in formation and has taught theology, including at the Pontifical University in Krakow. Fr. Arthur holds a doctorate in Biblical Theology from the Gregorian Pontifical University in Rome and speaks six languages. 4. Fr. Alexander Sapta Dwi Handoko the Provincial Superior from Indonesia. He was born in 1963, professed in in 1984 and ordained in 1993. 5. Fr. Levi dos Anjos Ferreira from Brazil. Fr. Levi at the time of election was not a member of the General Chapter. Originally from Brazil, he has served in the German Province for several years. Fr. Levi was born in 1972, professed in 1994 and ordained in 2002. He is currently novice master in Freiburg, Germany. Fr. Levi will join the chapter as soon as possible. On July 20, 2018, the Congregation of the Priests of the Sacred Heart, elected its new Superior General, Fr. Carlos Luis Suarez Codorniu. Fr. Carlos Luis was born in 1965 in Canary Islands and belongs to the Region of Venezuela. July 15, 2018, the second day of the Chapter started with Mass celebrated by Fr. Heiner Wilmer, former superior general. It would be his last Mass with the Rome community before leaving to prepare for his new assignment as bishop of Hildesheim, Germany. Fr. Carlos Enrique Caamaño Martín, the incumbent superior, thanked Fr. Heiner for his service. He said that Fr. Heiner had not only been a good leader, but an excellent confrere, a brother in life and in work. It was an emotional moment of both joy and sorrow as Fr. Heiner gave thanks for the congregation and to those with whom he served. After the Mass, each capitular lined up to personally expresses his well-wishes to the bishop-elect. Before the chapter delegates discern new leadership, it is important to hear from the current administration about the “state” of the congregation. What are the priorities? What are the challenges? The State of the Congregation isn’t simply a summary of projects and numbers, a statement of where Dehonians are and what they are doing. It is a window into the life of the congregation as described by those who have the widest view: the Superior General and his council. Fr. Carlos Enrique Caamaño Martín began by reminding the delegates that it is a report of an administration that only reached the midway point of its term. Some projects are just beginning, others have not yet started. Soon after Fr. Heiner Wilmer took office, he and his council developed a programmatic letter strongly based in the message of the XXIII General Chapter. The letter identified three areas of focus: marks of mercy in formation, marks of mercy connected with the poor, and marks of mercy in Evangelization. Working together, the administration developed a new Mission Statement for the congregation, identifying a vision (Love with open heart and mind) and a mission (Adveniat Regnum Tuum –– Your kingdom come). Of projects begun but not completed, Fr. Carlos Enrique cited the General Conference in the Philippines that was planned for the same time period as the General Chapter. He hoped that the next administration would revisit the conference. Delegates discussed the State of the Congregation in small groups. Yesterday, on June 15, 2018, the chapter focused on the State of the Congregation. Today the spotlight turned to the congregation’s finances. Fr. Luca Zottoli, general treasurer, began his report by noting three key issues identified by the 2015 General Chapter: financial independence, aging and vocations. “These continue to be crucial issues for the congregation; the general administration kept these issues in mind as it developed its economic policies,” he said. The General Treasurer’s office does not only have responsibility for the wide-ranging financial concerns of the congregation, but also for those close to home. Fr. Luca talked about the complex financial realities of the General Curia, the International College and Villa Aurelia. Long-range financial planning is key to maintaining Villa Aurelia and the Generalate. “The general house is like a building site where work is always in progress,” said Fr. Luca. There have been renovations to the library and the roof; water drainage and other structures had to be repaired due to earthquake damage. In the future, the heating-cooling system, as well as the electrical system, will be upgraded. Chapter regulations require that a committee of experts reviews the financial accounts of the entities and curia. Those who served on the committee at the previous chapter were asked to do so again: Fr. Giacomo Cesano (ITS), Mr. Garret Stinson (USA) and Mr. José M Gutiérrez (ESP). The committee noted challenges and offered suggestions for the future. Short and long-range budgeting is essential in all the entities. This includes everything from formation costs to anticipating major maintenance expenses. The committee suggested the development of a template for annual financial reports that could be implemented throughout the congregation. The previous General Chapter suggested that a support team be established that could help entities with financial skill development or to serve as a resource when an entity has a major financial question, such as the disbursement of an unneeded property. Committee members endorsed this recommendation. On Saturday, July 14, 2018, started the XXIV General Chapter of the Congregation of the Priests of the Sacred Heart, known also as Dehonians or SCJs. The Chapter is being held at the General Curia in Rome and is being attended by seventy-seven (77) delegates plus one (1) invited guest. The purpose of this assembly is election of the new administration, review the State of the Congregation, and to discern what are the current needs and challenges lying ahead of the Congregation. Normally, the General Chapter is held every six years. The XXIV General Chapter is an exception. It occurs only three years after the previous General Chapter at which Fr. Heiner Wilmer, SCJ, was elected the superior general. On April 6, 2018, Fr. Heiner was appointed as bishop of Hildesheim, Germany. That appointment led to the calling of a General Chapter three years earlier than initially planned. Also, because of this the General Conference in Manila, going to be held at the same time as the Chapter, was cancelled. The Chapter will end on July 27, 2018 at noon time. Hopefully, by July 21, 2018, the Congregation will have a new administration. The General Chapter was preceded by the local chapters held in every entity with the purpose of electing delegates for the General Chapter and discernment of the present situation and needs. The Philippines is being represented by Fr. Lukas Hadi Siswo Sasmito, SCJ, the Regional Superior and Fr. Francis Pupkowski, SCJ, the official delegate chosen by the members of the Philippine Region.